Hello again, scrap fans! What has WRE got for us this week, I hear you ask. Well, we are going all arty with lots of stuff to bring out the Van Gogh in you. For a start, have a look at all this lovely lot – paints, brushes, palette knives, paint-by-number kits, everything to get the budding artist started. We also have a fresh supply of Pink Pig sketchbooks. 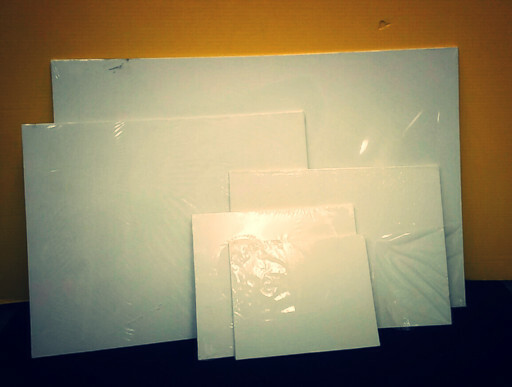 We have canvas boards in five different sizes, perfect for oil, acrylic or watercolours. 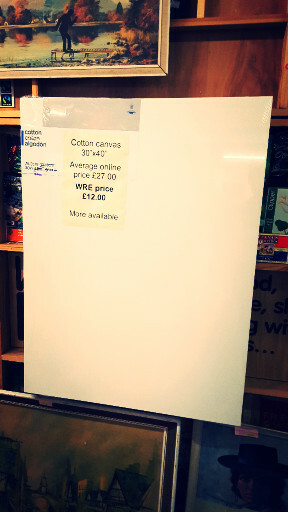 And we also have cotton canvas at less than half the normal retail price. What a bargain! 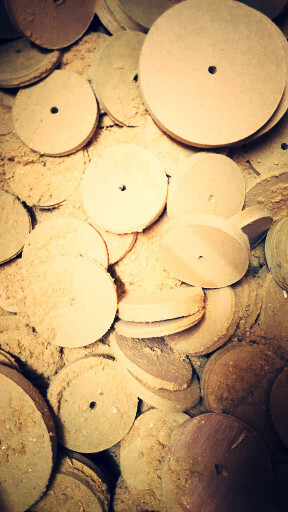 For the more crafty minded of you, these small wooden discs come in three sizes, and would make perfect drinks coasters for your next barbecue, or the really small ones can be made into the wheels on your new model car or bus. If you have a fancy dress party on the horizon, grab some of these shoulder pads and sew them into your Jackie Collins outfit. Dynasty, here we come! 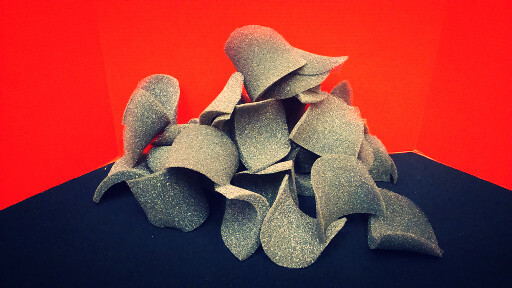 They would also make fantastic scales for a fish or dragon costume. Or tiles for a doll’s house. Or ... I’m sure you can think of lots of other uses. 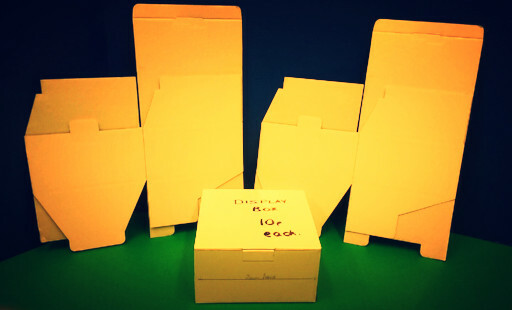 These small white display boxes are perfect for storage or for posting stuff around the country, or for transporting your prize-winning cakes. They come flat-packed and make up into a box eight inches square. Finally, some news. We have a job for some lucky person. It’s only four hours on a Saturday, but we can guarantee you a fun and interesting time. For further details, see our website or email info@wre.uk.com. That’s all for this week. Looking forward to seeing you all at the Worcester Show at Gheluvelt Park on Sunday. Join us for our eco warrior workshop at the Duckworth Worcestershire Trust stand and pick up a free ‘morsbag’ shopping bag made from recycled fabric. Yes, free!! See you there.